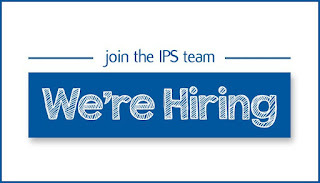 IPS Staff Focus - What they really get up to outside of work! 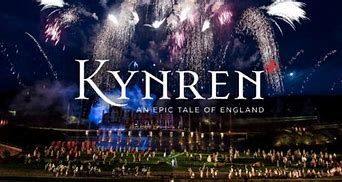 Congratulations to our Business Development Director Andrew Lamb, who was one of over 1000 cast and crew of the action packed show, Kynren who this summer, won The Queen’s Award for Voluntary Service. This prestigious award was created in 2002 to celebrate the Golden Jubilee anniversary of The Queen's coronation and is the MBE for volunteer groups. 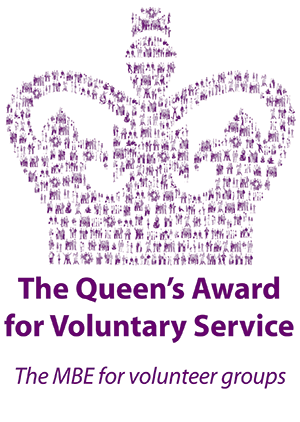 The Queen's Award for Voluntary Service is the highest award given to local volunteer groups across the UK to recognise outstanding work done in their own communities. Any group doing volunteer work that provides a social, economic or environmental service to the local community can be nominated for the award, and each group is assessed on the benefit it brings to the local community and its standing within that community. 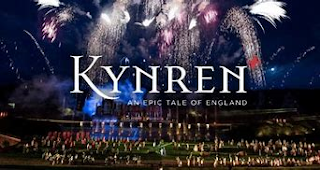 Andrew has been a volunteer in Kynren (which takes place every summer in Bishop Auckland, Co. Durham and is ranked as one of the Top 3 performances in the UK by trip advisor) now for 3 seasons. 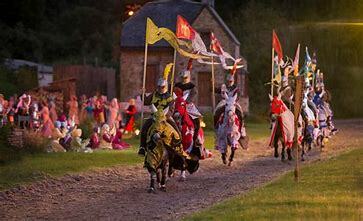 through 2,000 years of history, myth and legend. The spectacular show is brought to life with magnificent sets, special effects and pyrotechnics and is set to a spine-tingling original soundtrack. Andrew said 'although I have volunteered all of my adult life, this had to be one of the most challenging, but enjoyable projects that I have ever been involved in. The project has not only offered opportunities to meet new people and create many new friends, it had also allowed me to learn new skills, many of which are transferable. I am very proud to be part of something that has received the recognition of Her Majesty The Queen'. In September we held our first 'company walk', which was an idea to bring people together outside of work, we even said bring your partners and dogs and off we went to Buttermere in the Lake District. Well, we had a great day and decided that we would get together at least once a month. On Saturday, 13th October, a slightly bigger group set off to the small fishing village of Craster (Northumberland) to walk the 6 mile route around Dunstanburgh Castle and, well it rained!!!!! For those who didn't have a dog, they borrowed one (it has to be said dogs are optional). We thought you would like to see a little video of our day as we would like to encourage more companies to recognise the benefits of promoting health and wellbeing at work for their employees and walking is a great way to start! In fact, experts agree, walking is a low impact physical exercise that most people can take part in and is extremely good for you. Walking helps to improve mood and positively increases feelings of calm and wellbeing, fosters creativity, enables a change of scene and an escape from everyday life. The challenge is to keep it going, we'll share our adventures with you over the coming months; you never know what the next challenge will be! 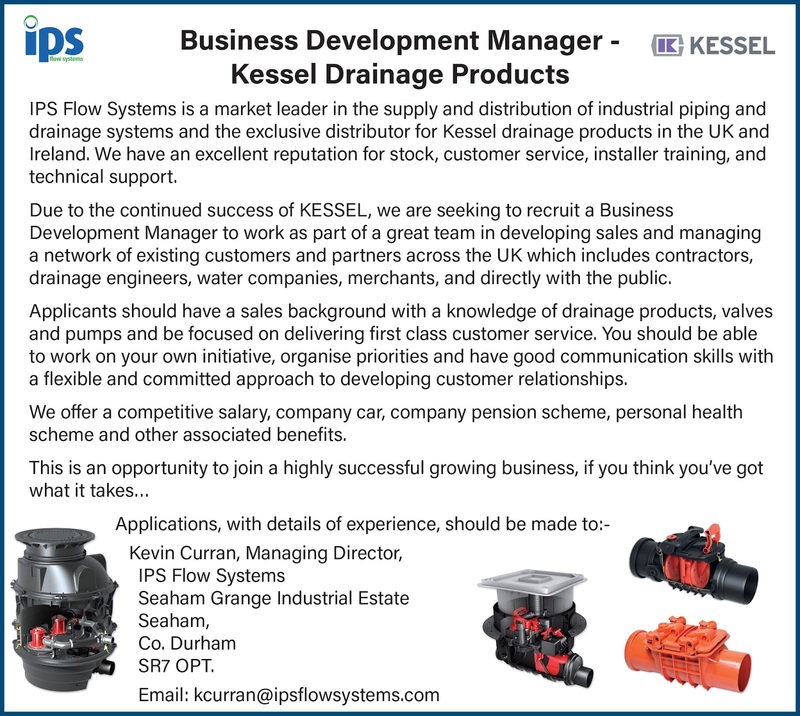 IPS Flow Systems are delighted to welcome Gary Callachan as Business Development Manager for Scotland. 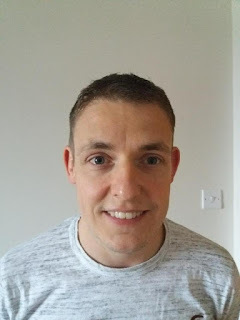 Gary has had a number of years experience as a chemical process engineering professional in the water and waste water industries both in the UK and abroad. Outside of work Gary loves spending time with his young family and is a keen sportsman both taking part and as a football referee. 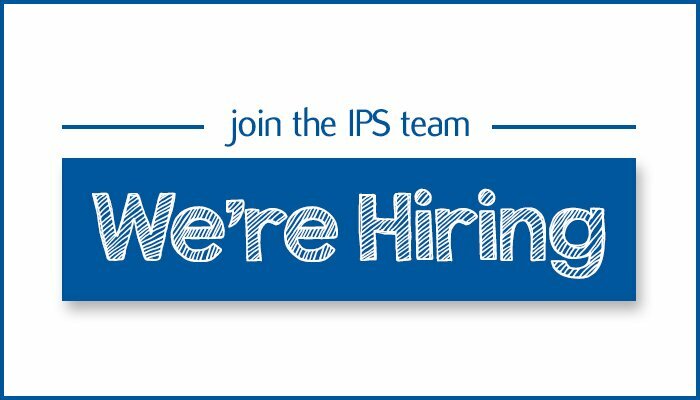 Gary is looking forward to hitting the ground running and we are sure that he will be an invaluable member of the IPS team. UKCW Focus - Fatburgs, A UK problem that could be a thing of the past! The main feature on the IPS/Kessel stand @ #ukconstructionweek will be KESSEL Grease Separators suitable for both underground and above ground applications. Fatburgs! A UK problem that could be a thing of the past? What we don't see, we don't worry about - but at what cost ? With water companies spending millions of pounds every year clearing blockages from the sewers beneath our cities, we all have a responsibility to take care what we put down the drain! 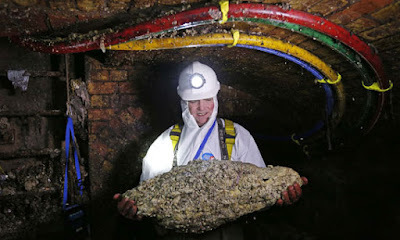 The biggest ever fatberg, found in 2017 beneath Whitechapel Road in East London, was filled with congealed fat, wet wipes and nappies. This fatbert was 10 times larger than the one found in a sewer in Kingston, London, in 2013. It is estimated that 90% of eateries in London are contributing to the problem by failing to install grease traps, the report found. As a result, grease, oil and food scraps washed off plates, utensils and saucepans are finding their way into pipes and drains. Food outlets have already been given advise on how to dispose of fat and food waste whilst commercial kitchens have been advised on grease-trapping equipment specifically for commercial kitchens. Pattenden also said that restaurants that failed to install grease traps and other measures faced prosecution if they didn’t make required changes. Thames Water says it spends about £1million a month clearing blockages from its sewers in London and the Thames Valley – an average of three fat-related blockages every hour. 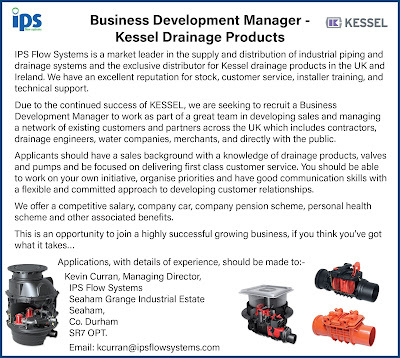 So it's understandable that they are advising on the use of grease traps and prosecuting against those companies who don't make changes. Well, we're almost ready! 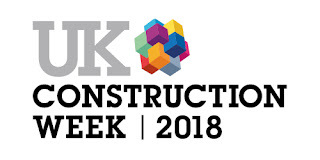 IPS and our partner Kessel have been working hard to get ready to exhibit at the UK’s largest built environment event, UK Construction Week (UKCW). 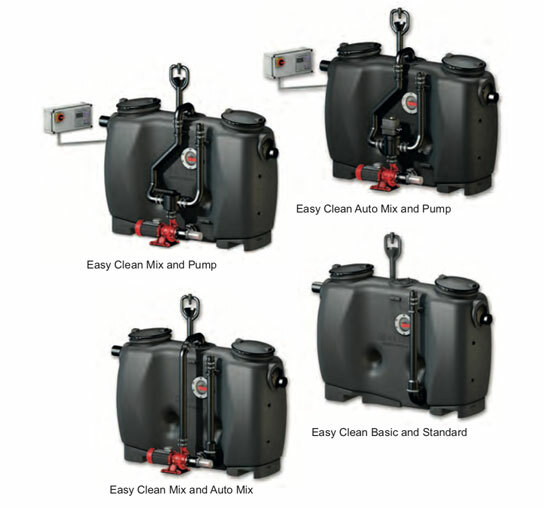 As well as exhibiting the Kessel range of Pumping Stations, Flood Protection Products and Shower Drains, this year 'Grease is the word', we will focus on their Separator products with a feature display of the EasyClean Grease Separator. Well, we're almost ready! 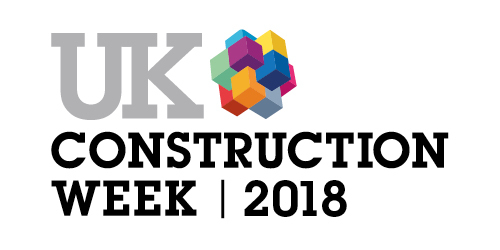 IPS and our partner Kessel have been working hard to get ready to exhibit at the UK’s largest built environment event, UK Construction Week (UKCW). 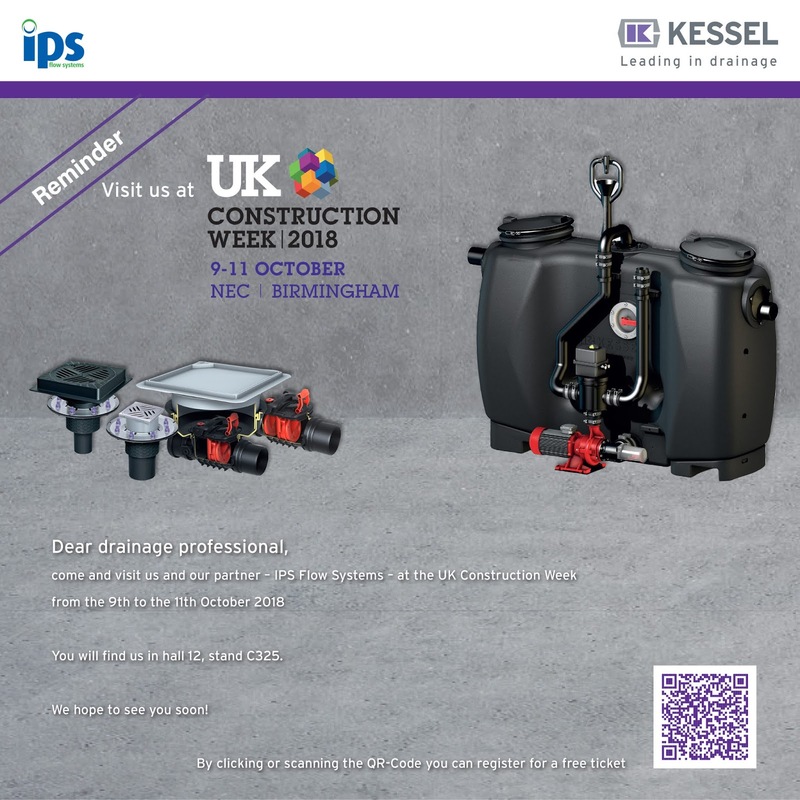 As well as exhibiting the Kessel range of Pumping Stations, Flood Protection Products and Shower Drains, this year 'Grease is the word', we will focus on their Separator products with a feature display of the EasyClean Grease Separator.